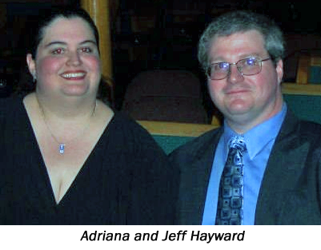 Adriana and Jeff Hayward are the new Youth Coordinators for the American First Day Cover Society. The appointment was made by AFDCS President Lloyd A. de Vries. The couple lives on Staten Island, New York. Jeff is the information technology manager of The Rockefeller University, while Adriana is a librarian. He is a Life Member of the AFDCS, but considers himself a worldwide collector. He is also a member of the American Philatelic Society, American Topical Association, The Virtual Stamp Club, and more than a dozen other stamp societies. Among his many interests are stamps featuring marine mammals, puffins, earth's physical features and Volkswagen Beetles. She collects Love stamps. "She would probably collect more if I didn't take up so much space with all of my collections," Jeff confesses. The Haywards' goal is "to encourage and support young first day cover collectors," they said. 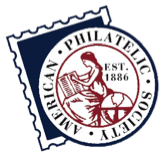 "We will provide fun and educational activities and contests in an effort to expand their philatelic interests." In addition, Adriana is developing find-a-word and crossword puzzles for publication in First Days, the official journal of the Society.